Wondering how to beat an income tax audit? These tips will help you to break on through to the other side. Are you looking for tips to beat an income tax audit? If so, you are likely dealing with a lot of different emotions right now—horror and absolutely-freaking-out might be the two big ones. What you need is a game plan. You need some practical tips to help you push past the anxiety and move onto taking action. So let’s get started. If you are able to delay the audit, do it. Requesting for more time will allow you to get records and necessary documentation in order. It will also allow you to find the right tax professional to guide you through the process. Unless there is a case of fraud or major underreporting of income, the IRS timeline is that they must finish the audit three years from the time the tax return in question is filed. In order to do this, you will simply need to file a request to postpone and the IRS will typically grant your request. The best way to get through something challenging like a tax audit is to… let someone else do it. All joking aside, having a professional on your side to get you through the process is worth a lot. Plus, when you are working with an expert, you can know they’ve been through the process many, many times and they know what they are doing. They aren’t scared. They aren’t worried. Why? Because they understand the entire process from beginning to end and know what it takes to beat the tax audit! This is not the time to overshare. 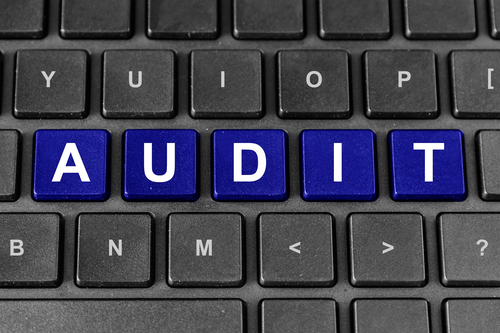 Only provide the auditor with the required information—this includes documentation and communication. No need to offer up other years’ tax returns or other unrequested documents. Resist the urge to speak just to fill silences or offer additional information that has not been requested. Don’t lie, but be brief when you are communicating. Make sure you are informed of your taxpayer rights and the auditing process. If you work with tax experts, they will ensure you have all the information you need to protect your rights. If not, you will want to be sure you read IRS Publication 1 before your first audit meeting. There are also helpful and free IRS guides and publications available online to give you more info about common tax legal issues. Let our team of tax experts at Incompass Tax, Estate and Business Solutions help you to beat an income tax audit. There’s no need to go through the process alone when you can have the area’s top professionals by your side. Connect with us online now for a free consultation from our audit team.